Lincoln Road Package Store of Hattiesburg, Mississippi, has quickly become synonymous with quality and desirability among whiskey enthusiast circles. Their private barrel selections are often sought after, some even commanding small premiums on the secondary market, and the reputations of Jamie & Misty Farris (owners) garner respect from both clients and peers. 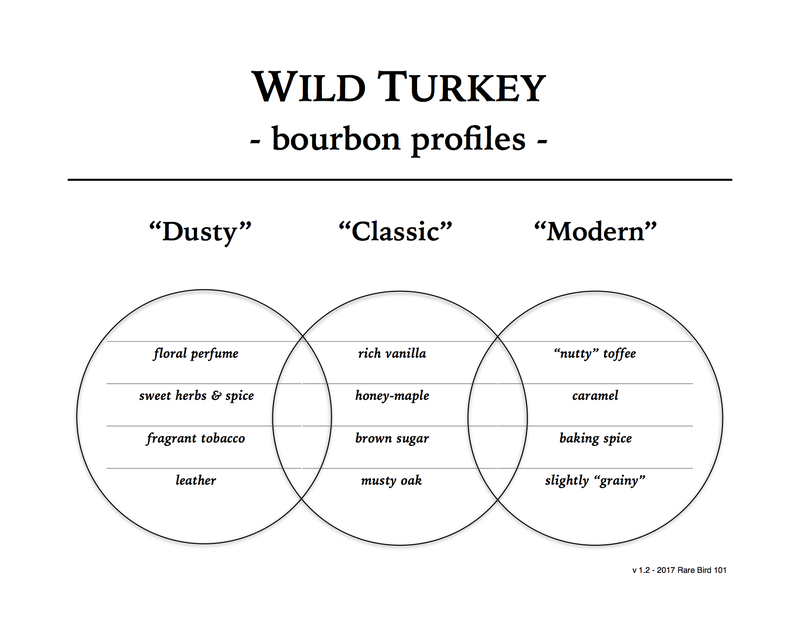 In relation to Wild Turkey, I’m aware of at least five Lincoln Road private selections: four Russell’s Reserve Single Barrels and a Wild Turkey Kentucky Spirit. Of those five, Russell’s Reserve SiB #136 is perhaps the most well known, thanks to considerable praise in Whisky Advocate magazine and via Twitter by spirits author and ascot aficionado Fred Minnick. Up until today, I’ve yet to try any private barrel selections from Lincoln Road Package Store (Wild Turkey or otherwise). Luckily, I have some fantastic whiskey associates out there gracious enough to send me two very generous samples. Both are Russell’s Reserve Single Barrel selections – one aged in warehouse G and the other in warehouse T. And yes, one of the samples is from barrel #136 of Whisky Advocate fame. As for the tasting, I briefly considered making it a blind comparison, but ultimately decided it wasn’t really necessary. They’re both Russell’s Reserve Lincoln Road selections and within a year (or so) of release from one another. A blind tasting would only serve to remove bias or preconceived notions and I don’t feel those apply in this comparison. I mean, I’m a Fred Minnick fan (highly recommend Bourbon Curious, by the way), but just because Fred loves barrel #136 that doesn’t mean I will. And who knows – maybe #2665 will be even better? Well, there’s only one way to find out and I’ve spent far too much time yapping about it. It’s Turkey time! Overall: Lincoln Road’s Russell’s Reserve #136 is about as classic Wild Turkey as it gets. In fact, it’s extremely close in profile to Shawan’s private select #2293 (another solid classic RRSiB). I can understand why Fred Minnick was so impressed, as this bourbon definitely has that irresistible “throwback” WT vibe. I’ve had one or two Russell’s Reserve SiB’s that I’d rank higher, like Davidson’s #2394, but overall this particular barrel is certainly up there. A hands-down excellent pick for sure and kudos to Misty Farris for it! Overall: Hmm … well, I’ll give it to Lincoln Road for deciding to go a different direction with #2665. While in some ways it shares traits with the average Russell’s Reserve SiB, in other ways it stands out as quite unique. Unfortunately, unique doesn’t always equal amazing. Not that this is a sub-par Russell’s Reserve selection – it’s not – it just comes across a little bit “woody” and dry. I’d imagine this whiskey maintained greater balance prior to dilution, but as-is it leaves a little to be desired (especially on the finish). In conclusion, Lincoln Road Package Store has succeeded in selecting at least one exceptional Russell’s Reserve Single Barrel (#136) that’s certainly worthy of acclaim. Hat’s off to Fred Minnick for giving it some well-deserved recognition. As for Lincoln Road’s most recent Russell’s Reserve selection (#2665), it’s a perfectly fine single-barrel bourbon whiskey. It just happens to be a little shy of North for my Wild Turkey compass. And maybe that’s the point I should be stressing here. If you’re looking for off-profile Russell’s Reserve Single Barrels, private selections are the way to go. As for me and my preferences, there are very few off-profile selections that warrant a purchase (AWS #16-358 comes to mind). I can appreciate the occasional fruit or spice bomb, so long as they offer complexity matched with balance. Other than that (and those amazing throwback barrels), I’m perfectly happy with a non-select standard Russell’s Reserve Single Barrel chosen by Eddie Russell himself. After all, it’s hard to beat any barrel coming straight from a Russell.